The Witcher 3: Wild Hunt is a story-driven, next-generation open world role-playing game, set in a graphically stunning fantasy universe, full of meaningful choices and impactful consequences. 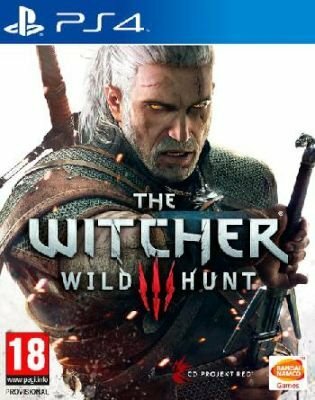 In The Witcher, you play as Geralt of Rivia, one of a dying caste of monster hunters, and embark on an epic journey in a war-ravaged world that will inevitably lead you to confront a foe darker than anything humanity has faced so far the Wild Hunt. The world burns as the Empire of Nilfgaard pierces through the heart of the kingdoms in the north. Geralt of Rivia is pursued by an enemy devoid of mercy the Wild Hunt, a mythical cavalcade of ghastly riders, harbingers of doom and destruction, capable of destroying entire settlements overnight. Driven by a deeply personal agenda, Geralt must navigate a maze of hostile forces to find and protect the one described in an ancient prophecy. Gritty and merciless, the world the adventure plays out in sets new standards in terms of size, ecosystem complexity and meaningful non-linearity. Experience realistic day and night cycles, observe weather changes that influence gameplay, and conquer the lush environment using arcane witcher lore. A huge open world, tons of missions and side quests. Great story and ten out of ten graphics. A few frame rate issues here and there but nothing to fuss about. Overall, an excellent RPG game.